Stunning 5 bedroom, 3 bath home with bonus game room and separate office/ den all situated on 1 acre in the highly desired Southern Vistas! 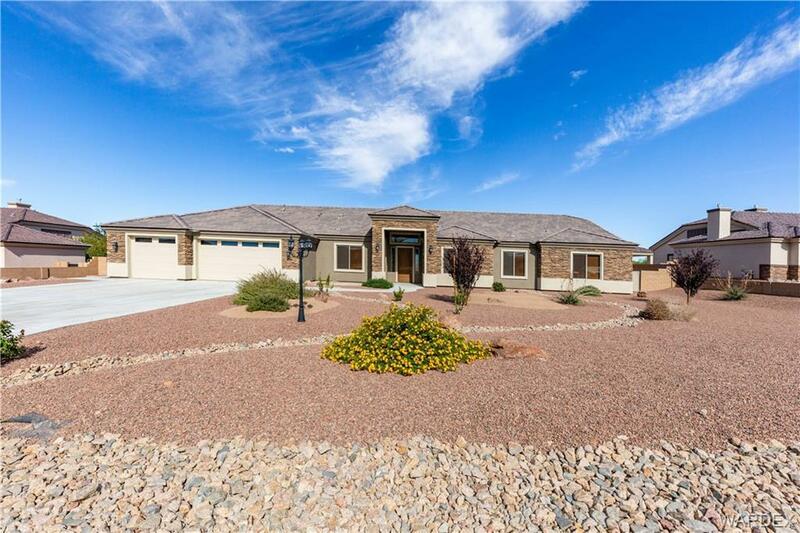 This home offers 3,702 sq ft of living space, 3 car garage and a private back yard with RV gate, parking and hookups! Other important features and upgrades include: *Tile roof *Front yard landscaping with automatic watering system *Soft water loop *Open floor plan *Canned lighting *Gas fireplace with stone mantle *Upgraded tile *Wood blinds *Formal dining *Beautiful granite counter tops *Walnut cabinets *Soft close drawers *Ample cabinet space *Stainless GE kitchen appliances *Dual electric ovens and separate gas range *Large walk-in kitchen pantry *Tile backsplash *Breakfast bar *Enclosed eaves *Custom baseboard trim *Split bedrooms *Sizable master bedroom with patio access, walk-in closet, dual vanities, walk-in shower and separate garden tub *Indoor laundry room with built in cabinets, counters, fold down ironing board and gs/ electric options *Extended back patio plumbed for gas and water for jacuzzi *RV hookups include 30 amp plug, water and dump *Backyard stubbed for irrigation *Block wall fencing.